Bridge projects where challenging terrain, difficult access, long spans or design constraints apply are our forte. 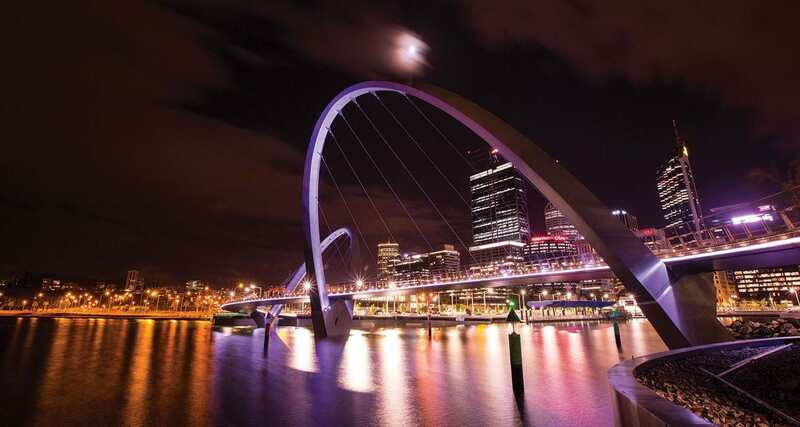 We work out how to simplify the engineering and optimise construction methodology and apply it to complete simply supported and structurally complex bridge structures. Our expertise includes the most effective and cost-efficient bridge solutions, from simply supported structures to incremental launching, balanced cantilever, cable stays, and match-cast segmental construction techniques. We also strengthen existing bridges, bringing innovative design solutions in carbon fibre technology and post-tensioning. Our engineered applications are suited to the full spectrum of existing structures, including timber, concrete and steel. SRG Global are leaders in incremental launching of bridges, having completed projects all over the world. The incremental launching method combines the advantages of precast segmental construction with those of cast insitu methods. SRG Global provides strand, wire, bar or carbon stay cables for a wide variety of structures, drawing on both local and global expertise and resources of the BBR Network. SRG can provide strand (BBRHiAm ConaTM), wire (DinaTM / HiAmTM) or bar type stay cables for this specialist method of bridge construction which is especially suitable for medium to long span bridges from 100 metres to 1,000 metres. SRG Global has extensive experience in the construction of segmental bridges. Matchcast segmental bridges are made from precast concrete units which are stressed together with strand or bars. There are two normal methods of construction including balanced cantilever and span-by-span simply supported method. SRG Global undertakes balanced cantilever bridge construction which is may be undertaken using cast in-situ segments or alternatively involve placing of precast segments. The scale and complexity of the project will determine the optimum solution. SRG’s specialist teams and bespoke equipment for insitu construction has constructed bridges with spans exceeding 150 metres. This widely used form of construction is both economical and well proven. SRG Global offers post-tensioning services for bridge construction. Besides the situation where precast elements are joined to adjacent segments by post-tensioning, construction may be undertaken with conventional cast in-situ methodology. Our range of fully approved systems and specialist solutions is able to provide an optimal engineering and economical solution.